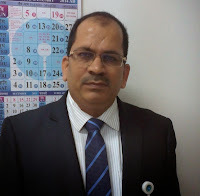 Author Bio: I am Mukesh Pandya, 49 from Mumbai and working in a Bank as BM. It was my dream to clear UGC NET since long. I have done my MBA in IT. I appeared in UGC NET in December 2012. This was my first attempt and I was lucky to clear it in my first attempt with 70%. After my success my friends have suggested me to prepare document on my success. I have prepared this document on my experience. Readers are requested to change their plan as per their subject, age and job profile. 1. Be Thorough: First of all make a habit to read. Read all related to subject that you get. Use Wikipedia and Google to find more on the topic. Read comprehensive books on the subject. 2. Select Study Material Carefully: This is perhaps most important part of your strategy. I spent lot of time in searching books for my UGC NET Exam. Fipkart and Homeshop18have played a vital role in my books selection. I found books published by Arihant, Cosmos Bookhive, Upkar and Atlantic very useful. 3. Glossary plays an important role in your preparation: Please add suitable dictionaries of the subject in your books. I read Dictionaries on Management, Commerce and Economics for my study. 4. Balance between Theory and MCQ: I selected books in such a way that I got theory and MCQ in a balanced manner. Upkar’s books gave me that start which I finished with books from other publications. 5. Use of Internet: I used internet extensively in my study. I always carry a Tab, which I use to search for terms and concepts. There are many websites which have lots of material on our study. Management being a global subject, I found extensive reading on net. 6. General Knowledge: A good and constant reading habit is very much useful for building a sound General Knowledge. However practice is more required for sections like Teaching Aptitude and Reasoning. 7. Reading, Reading, Reading for Theory. Practice, Practice, Practice for MCQ: UGC NET is an exam where your thorough knowledge is tested through MCQs. So read more and more to build your thorough knowledge and practice more and more to sharpen your exam skills. 8. Rome was not build in a day: Just remember that nothing happens in 2-3 months. If your aim is an Exam like UGC NET, prepare for long term. Competitive Exams are like Kushti where strength and skill both required. And both strength and skill come from a long practice with proper eating for a long time. 9. Have faith in System: Please do not be carried away by rumors and noise. Learn to differentiate between noise and news. While I was preparing I got rumor that this time cut off will be 48% as there are large vacancies in Management Institutions. But I ignored the same as it was next to impossible. I checked last exam (June 2012) and found that the cut-off was around 65%. So I worked hard and ensured that I stand somewhere around 68%. With God’s grace I got more than what I targeted. 10. Have faith in yourself: Some students have attitude to lose before fighting. Even when I started my preparation I was not sure that I can do it especially with my present job of around 14 hours time taken in job and travelling. But I utilized all the time I got at home and in travelling and I kept on studying without getting tired. Perhaps it is our will power that makes things happen. I wish you all the best in your efforts.